Ask anyone to sit down in front of a blank sheet of paper and write, and you’ll likely elicit desperate looks and head-scratching. Most of us need something to get us started, whether that be a spontaneous idea, a sentence fragment, an image, or parameters within which we must write. 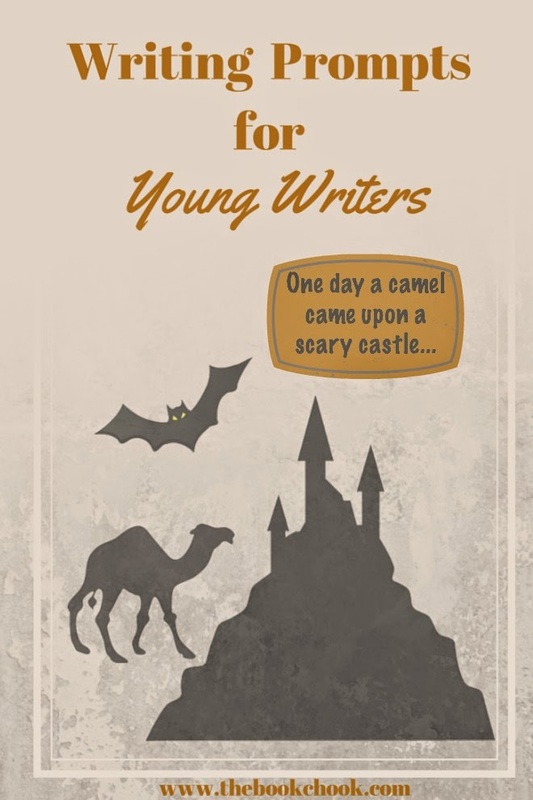 Young writers, even those who love to write, might find some of these ideas helpful. Making our own prompts for writing is lots of fun. Better still, have kids make them for someone else. Sometimes we tend to choose easy prompts for ourselves, but being given a tricky prompt can be just the spur our creativity needs. * Go outside/look inside different places for things to photograph that would make intriguing prompts. * Bring in (or photograph) unusual objects others can use as story starters. * Find a photo of an interesting character and ask a friend to describe them. * Set up photos by acting out a simple story with friends or use toys/figurines and created scenery. Choose one of the photos to spark a different story idea. * Do a supervised search for CC licensed images they can use as prompts or give to others to use. * Write down a character, that character’s big problem, and a setting a story must take place in. * Write down an unlikely hero, a clumsy villain, and a strange world the story must take place in. * Improvise (act out) a short scene based on two characters meeting (or any prompt you like). Stop the scene after about 60 seconds and write the rest of the story. * Create a scene out of LEGO or other objects and then have a friend bring the scene to life by writing about it. * Give a friend the title of any well-known tale and a format to re-write it in e.g. The Three Pigs as a space opera, The Lion and the Mouse as a horror story. * Paint/draw/create a picture of the illustration to accompany a story and give it to a friend. Scholastic has a Story Starter machine where kids choose a type of story, spin the wheel, then are able to customise the resulting text prompt by spinning more wheels. My example: Write a postcard from an awkward spider monkey who ignores orchestras. Toasted Cheese, a Literary Journal and Writing Community, maintains a calendar of text prompts. Although aimed at adults, they’d be suitable also for teens. The Literacy Shed has great videos that kids can use to inspire their own creativity. There’s also a special Story Starter Shed with text story starters. If kids need to write an opinion or persuasive piece and they’re stuck for a topic, The Blog Post Ideas Generator might help. It’s also useful for bloggers who need a title to write about. The Writer’s Plot Idea Generator is aimed at adults but children could use it with supervision. It will generate character names, plot twists, plot ideas, first lines etc. Two writing prompt generators especially for kids can be found in K5 Computer Lab. The British Council’s Learn English Kids site has a Story Maker. Kids follow prompts and generate a simple story. Challenge kids to improve the basic story by re-telling it. Bruce Van Patten’s The Story Kitchen has children choose story elements, then it generates a story beginning for kids to finish. Some iPad apps are specially designed to encourage kids to start writing. In Creating Digital Stories with iPad I mentioned Shake-a-Phrase, Write About This, Tell a Tale and SparkleFish, four apps that provide digital prompts for children to go on and create their own stories. Remind kids that prompts are just a way to get started. Perhaps a story might take off in a totally different direction, and that’s okay. Just go with the flow!